A rather new application dubbed Cycloramic has hit the App Store for taking 360-degree videos with your iPhone 5. It has been designed so that you can stand your iPhone 5 straight up on a hard and flat glossy surface, such as glass, marble, or granite and the iPhone 5 will rotate 360 degrees all by itself to take the 360-degree video without you even needing to hold the device. Does it seem too good to be true? – As a matter of fact, it’s real. The application is made specifically for the iPhone 5 and it uses vibration patterns using the iPhone 5’s built-in vibration mechanism to push the iPhone 5 in the direction it needs to go. When it completes the 360-degree circle, the video is saved to your Camera Roll as expected. For the application to work correctly, you cannot have the iPhone 5 in any type of case whatsoever, as it might absorb the iPhone’s vibrations or cause the iPhone not to stand up perfectly straight. You also should use an iPhone 5, because it’s just light enough that the vibrations can push it, whereas the iPhone 4 or iPhone 4S are heavier and don’t see these same results. According to TechCrunch, Apple co-founder Steve Wozniak has also been spotted playing with Cycloramic to take a 360-degree video of his kitchen, which you can view from this link. From the application you can choose the amount of rotations you want to capture in video and then tap on the large "go" button to get started – the application will count down and then begin capturing. You can even pick to use the front or back camera. It’s that simple. Some might be worried about the rotations scuffing the anodized aluminum on the bottom of the iPhone 5, however this is damage that youmight see over a long period of use and not on your first couple of tries. Cycloramic will set you back 99¢ to snag it from the App Store from this link, however it's well worth it if you can stand getting dizzy by watching your own round-and-round videos from your iPhone 5. 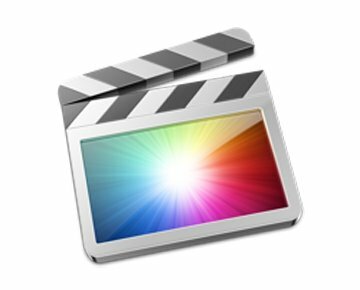 Apple Updates Final Cut Pro X, Motion and Compressor, Again! Only a few weeks after updating Final Cut Pro X to version 10.0.6, Apple updates once again Final Cut Pro X with a maintenance & bug fix release. • The Letterbox effect “Offset” slider is restored. • Fixes an issue that could occur when creating a single layer DVD. • Fixes an issue in which some third-party effects could cause Final Cut Pro to stop responding during background rendering. • Fixes an issue in which some third-party transitions would incorrectly use black instead of source media. • Adds support for editing MXF files that are still ingesting. • Fixes an issue with rendering Motion Templates containing Image Units. • Fixes an issue with the display of the Modify RED RAW settings button in synchronized and compound clips. • Fixes an issue with the upload of clips that are larger than 1 GB to Vimeo. • Fixes an issue in which an incorrect frame size is used with filters on two adjacent clips with different pixel aspect ratio. This update weight 126 MB and requires MacOS X 10.6.8 or later and it is a free download on the Mac Apple Store for current users. New customers can purchase Final Cut Pro for $299.99. Motion gets updated to version 5.0.6 and Compressor to version 4.0.6. Both are big fix updates and are free for current users. New users can get Motion & Compressor for $49.99 each on the Mac AppStore. 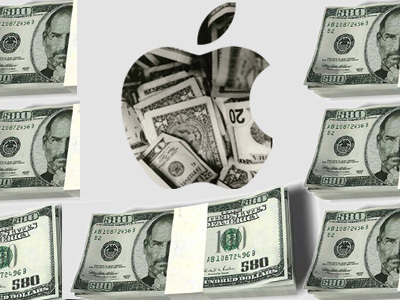 Although Apple itself has done nothing illegal in this matter, the company is seeing its brand take a beating in the headlines for little more than its connection to the fraudulent activities engaged in by a single Wall Street trader. Bloomberg confirms that an ex-trader with the firm Rochdale Securities LLC has been charged with wire fraud relating to an unauthorized $1 billion purchase of Apple stock. But when all didn't go as planned in the scam, the stunt cost his company $5 million. The trader in question is David Miller, 40. Miller surrendered to the FBI yesterday and was subsequently released on $300,000 bail. "The Stamford, Connecticut-based brokerage has been struggling to survive and hold on to its staff after Miller’s trade, made about the time of the Cupertino, California-based Technology Company’s October earnings release."